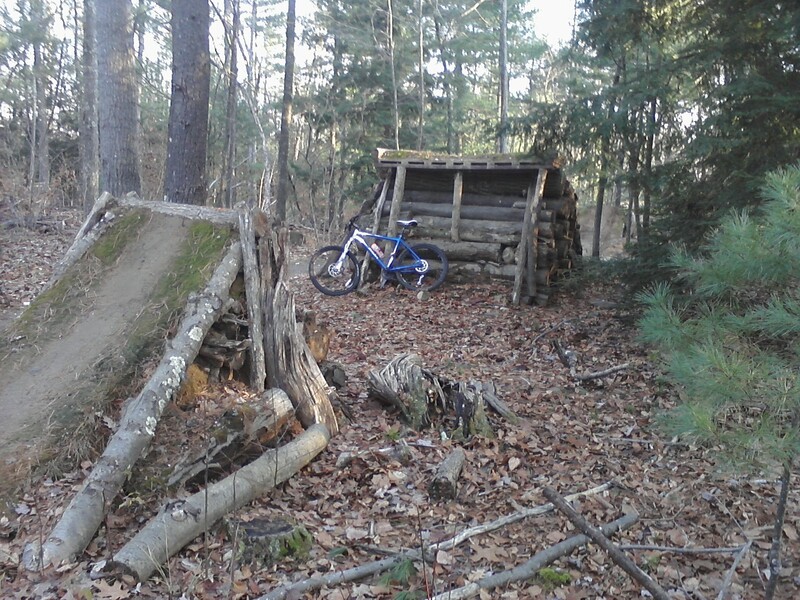 Check out these nasty jumps I found while shredding the trails yesterday. Soon you’ll have a bike and be able to put some air under your wings with me on ones like these!! 🙂 There were probably 10 in a row with some really funky ones near the end. Previous PostFirst CT snow 2012! Wahoo!Next PostCaught red handed! hahah that’s a good decision. When I’m with you next time, you can try them, so I can run and get help when you break something! Just kidding; I don’t think you should try them. They look pretty scary. Haha, no.. I’m not that badass. And I figured if I did want to try to be that badass, I should at least wait to do it on a day when I’m not alone in the woods only an hour or so before it gets dark! 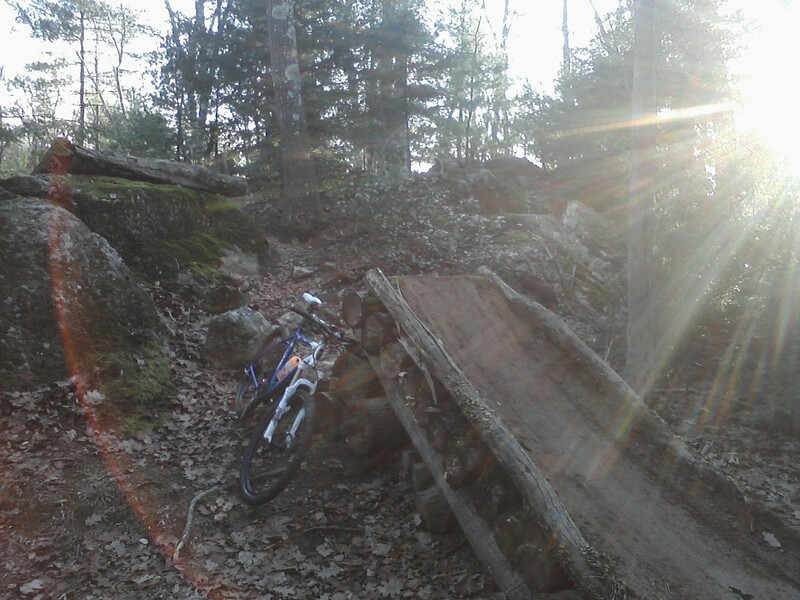 And I don’t know if my bike could handle jumps like that, I thought they were really awesome though. I wanna go back when other people are riding and see people hit them!